Our vehicle conversions and van conversions cover all manner of modifications and work to tailor your vehicle to your specific needs. We cover everything from sound systems, audio and visual equipment to internal use changes including lighting and bars, all tailored to your own needs. If you have a dream of turning your vehicle into something different, we have the capabilities of turning your dreams into reality. You don’t have to go the whole way, we can undertake simple one-off modifications, right through to full change of use transformations. 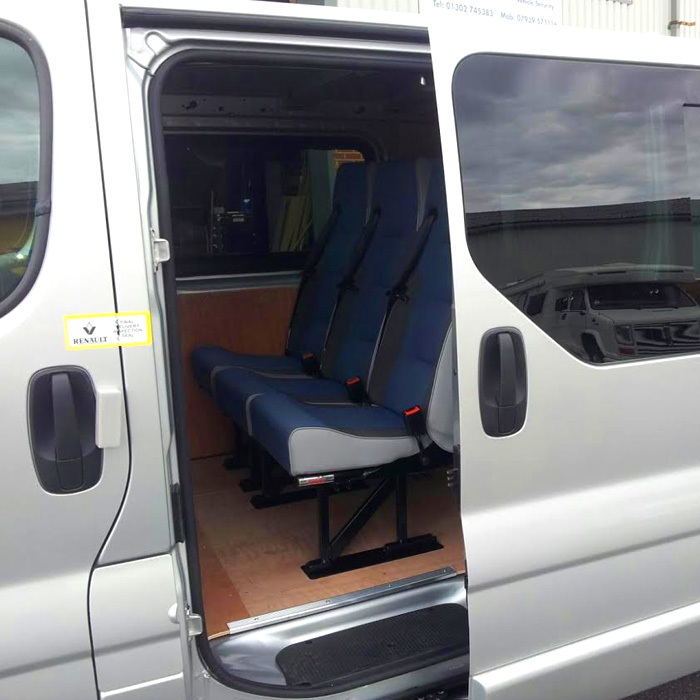 All van conversions are carefully planned and discussed with the customer, prior to any works commencing. If you have an idea of what you’re looking for we can sit and work out the best solution for you, including…. Here at Key Automotive Solutions, we like to feel that we offer the best advice possible based on our experience and product knowledge. Whether it be an old school approach or new age look you’re going for, we can transform your van into a truly one-off recreational vehicle that you can be proud of. We are able to convert any type of van, working from your own designs and ideas or offering solutions and concepts to add that wow factor to your conversion. Don’t worry, your vehicle is in safe hands with us, we’re dedicated, professional and friendly.